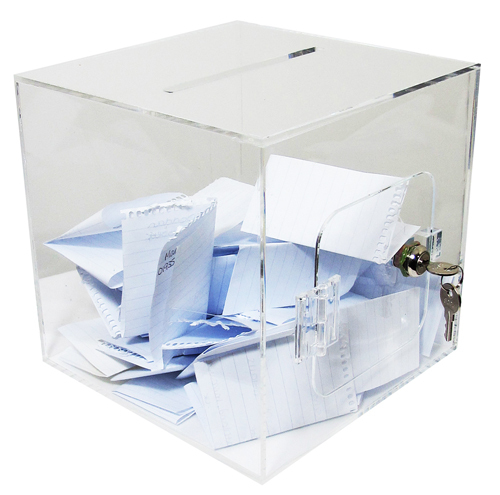 Wall mount Acrylic Suggestion Boxes [ballot boxes]. 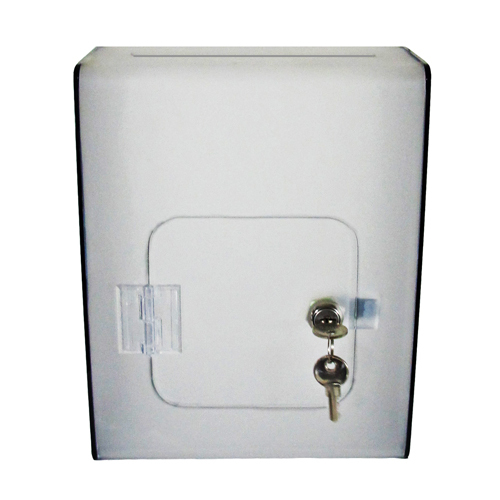 Six-sided, acrylic boxes with a slot in the top and a hinged, lockable door on the front or back. Available in a choice of standard sizes and colours, or we will make bespoke designs and sizes to order. PLEASE USE THE DROP-DOWN BOXES ABOVE to view different options for this item (eg by altering the 'door position'). 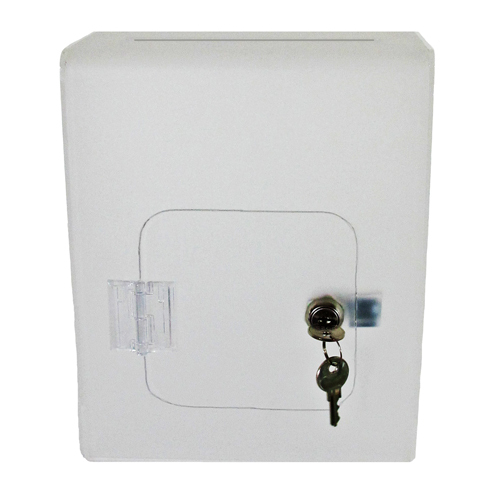 Wall mount suggestion boxes can come in many sizes, colours and designs. This one is 250mm high x 200mm wide x 100mm deep, and has a curved edge at the top / front. The door can be positioned on the back, so that it is against the wall; or on the front. If on the front, keyholes are cut into the back for wall mounting. If on the back, acrylic keyhole plates are glued on the same side as the door for mounting, which is necessary because the keyhole and hinge protrude from the back. 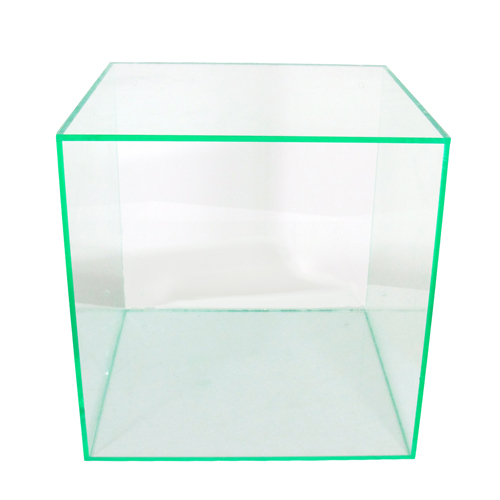 We make our standard suggestion boxes from 3mm acrylic, but please ask if you require anything else. A one-colour or two-colour suggestion box may be chosen here. Please choose the main colour (for the front), then let us know the colour you would like for the sides if you choose the 2-colour option - or we'll phone you to ask if you don't! We can manufacture boxes in many other colours and finishes of acrylic, so please enquire if you don't find what you need. By default, slots are 150mm x 10mm and doors are 125mm. Doors are lockable, and two keys are provided.